Soft-Lite Windows is the premier vinyl window manufacturer in the United States, and we here at Aspen Exterior are proud to call them one of our suppliers. Offering a wide variety of vinyl windows, Soft-Lite has been on the cutting edge of window technology since it was first established. Read on to learn about the types of Soft-Lite Windows we offer. 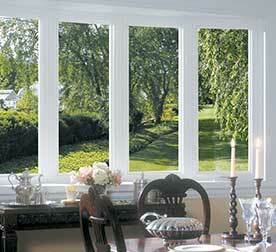 Soft-Lite has a large selection of windows to choose from, all of which feature impeccable quality and design. The vast majority of Soft-Lite windows are made out of high-quality vinyl. We will review some of the specifics below. 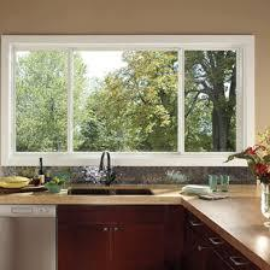 Awning windows provide terrific ventilation, as they can be cracked slightly open to allow in fresh air. These windows get their name due to the way in which they open, extending outward to create something similar to an awning. Because of their awning-style configuration, they are great for providing air flow during rainstorms. 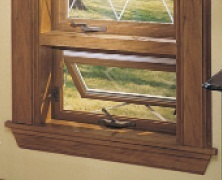 Single-hung windows are rectangular in shape, measuring larger in height than in width. Some of the most commonly-used windows in the world, they open from bottom to top, with their lower sashes sliding upward. 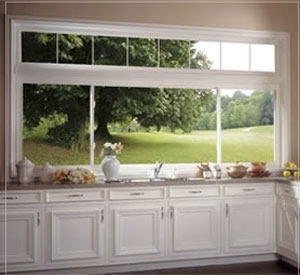 Double-hung windows offer a terrific combination of ventilation and visibility. These windows are rectangular in shape, and are taller than they are wide. Similar to single-hung windows, they open by sliding up and down. 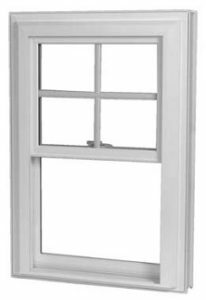 However, while single-hung windows only allow for the opening of one sash, double-hung windows allow for the opening of both sashes. Casement windows are rectangular windows that are taller than they are wide. Opening in an outward motion — similar to how you would open a book or a brochure — they rotate on hinges and make use of lever mechanisms. Sliding windows differ from most other windows in that they are wider than they are tall. 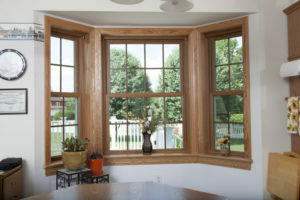 These windows are available in a variety of sizes, and are typically found in living rooms or bedrooms. Aptly named, they open by sliding from side to side. 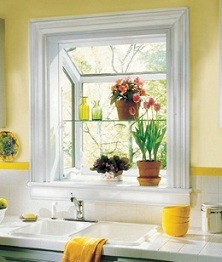 Garden windows are designed primarily for growing potting plants. These windows protrude beyond the exterior of a house, creating a glass, box-like entity that attracts a great deal of sunlight. They typically cannot be opened. Like garden windows, bow windows extend outside the exterior of a house. Large and rectangular, they are designed primarily for architectural and sunlight purposes. 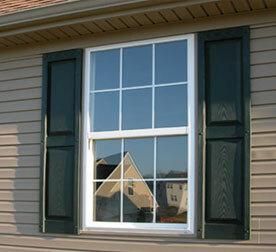 Consisting of 4 or 5 angled window panes, they can typically be opened in a variety of combinations. Bay windows are very similar to bow windows, extending past the exteriors of homes. Where they differ from bow windows is in the number of window panes they have. Whereas bow windows have 4 or 5 angled panes, bay windows have just 3 angled panes. Picture windows are intended mainly for aesthetic purposes. These windows do not open, and are typically installed to allow more sunlight. They are available in a wide variety of sizes. All windows provided by Soft-Lite are covered by a limited lifetime warranty. Should your window suffer any manufacturing defects, Soft-Lite will have you covered. If you’re interested in installing Soft-Lite windows, and if you live in the Chicago suburbs, Aspen Exterior is the company to call. 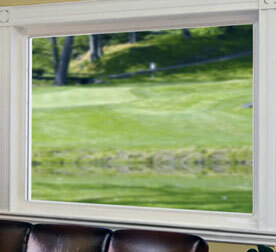 In business since 1978, we have installed a variety of Soft-Lite windows throughout the Chicagoland area. All of our installations are covered by a 10-year labor warranty. 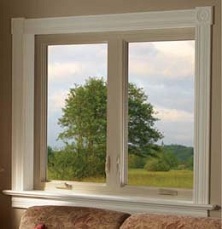 This is in addition to the Soft-Lite manufacturer’s warranty that comes standard with every Soft-Lite window. Contact Aspen Exterior Company now at (847) 590-5600 to schedule an appointment!